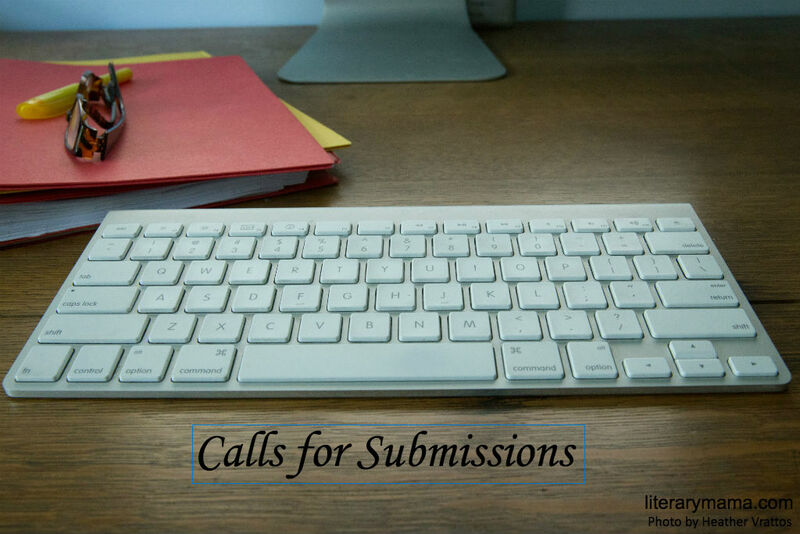 Each month Literary Mama shares a list of current calls for submissions. Good luck sending your work out into the world! Photo by Jennifer DeVille Catalano. See more of Jennifer's work at her website Someplace Sernedipitous. Ruminate is seeking short stories for its William Van Dyke Short Story Prize. Submit a story up to 5,500 words. For more information, visit the guidelines. Glimmer Train Press is seeking short stories for its final contest. Check out the submission requirements here. 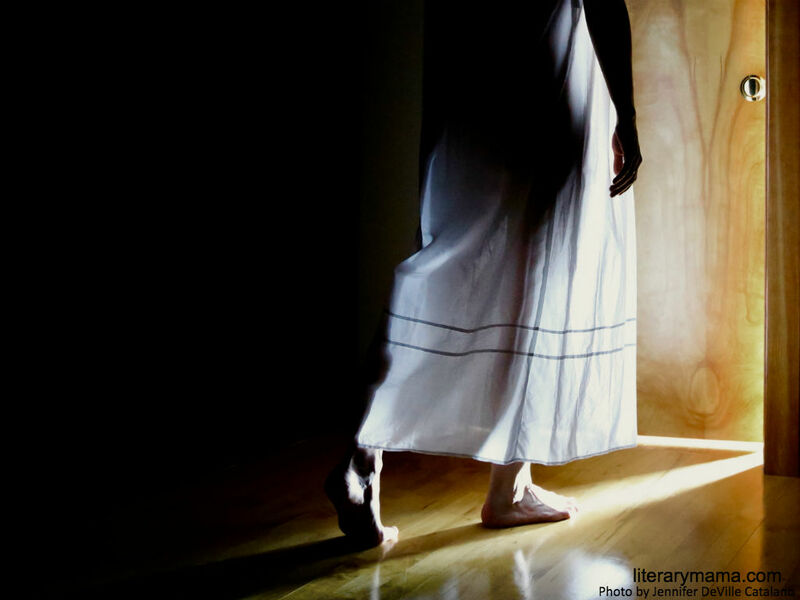 Flash Fiction Prize will award $1,100 for a short short story. Pamela Painter will judge. Submit a story of up to 300 words. Visit the website for complete guidelines. receive a $100 Honorarium and a reading in NYC. Here are the guidelines. Sequestrum is pleased to announce their Editor's Reprint Award, in which over $500 will be awarded to previously published writers and poets. The contest will accept both prose (fiction & creative nonfiction) and poetry submissions, with first-prize winners selected in each genre. Fiction and nonfiction: entries up to 10,000 words accepted. Poetry: Up to to three pieces per submission. Please see the contests page for full guidelines. Twisted Road Publications seeks stories of survival, both fiction and nonfiction, for their 2019 anthology. For marginalized individuals and groups—migrant farm workers, both legal and illegal; victims of extreme weather events; those fleeing war and violence; those caught up in a criminal justice system that is anything but colorblind. Submission deadline: February 28, 2019. Send up to 7,000 words plus author bio to submissions@twistedroadpublications.com. Gabriel’s Horn is accepting submissions of poetry for an annual anthology. We are looking for poetry that is: written in traditional form, positive, uplifting, and inspirational, in particular with a focus on faith and family. $3 submission fee for up to 5 poems. Poets are paid $10 per published poem. Our theme for 2019 is JOY. We are looking for moments of joy, thoughts on joy, images or stories or moments that bring joy, learning to find or regain joy. Click here for more details. New Poetry from the Midwest Anthology biennial anthology features poetry from and about the Midwestern region of the United States. Writers may submit up to 3 poems. Three $100 Heartland Poetry Prizes will be awarded. All contributors receive a free copy. Click here for more details. Alternative art and literature magazine The Matador Review is accepting submissions for the Spring 2019 publication. They publish poetry, fiction, flash fiction, and creative non-fiction, inviting all unpublished literature written in the English language (and translations that are accompanied by the original text) as well as many forms of visual art. Please click here for submission guidelines. The Account is interested in the conversations that could arise when an account was paired with creative work. Currently seeking poetry, fiction, and nonfiction. See submission guidelines here. Thriller Magazine is seeking submissions in fiction, poetry, and art. Please check out submission guidelines here. Carbon Culture Review is a journal at the intersection of new literature, art, technology, and contemporary culture. They are seeking well-crafted poetry, short stories, memoir, and reviews. We are open to all types of work on any subject matter but are also actively seeking submissions on technology, culture and art and also fiction related to those themes written by or for or about women and mothers and or family. Submission guidelines are available here. Carbon will begin publishing books from our in early 2018. They are looking for poetry, novels, short fiction, memoir and experimental full-length books on any subject, in any genre. Submission guidelines available here. Cecile's Writers Magazine is a digital publication focused on intercultural writers. Writers with a mixed heritage or who have lived abroad or write in English as a second language are all welcome. Whether previously unpublished or veterans, we work closely with writers. We accept previously unpublished flash fiction, short stories, novelettes, novel excerpts, personal essays, plays, and poetry. Please see our guidelines on submitting. The Coachella Review is open for submissions of poetry, nonfiction, fiction, plays or short scenes. Please see submission guidelines here. C&R Press is open for submissions and is accepting compelling literary work about all aspects of life which includes fiction and memoirs about women and families. They are accepting submissions for novels, essay collections, short story collects, memoirs, cross-genre, and experimental manuscripts. Submission information is available here. The Establishment is looking to unearth overlooked stories, produce original reporting, and provide a platform for voices that have been marginalized by the mainstream media. And yes, we want your humor, wit, and good old-fashioned satire, too. We publish originally reported features, interviews, long-form journalism, personal essays, and multimedia of all shapes, sizes, and creeds." All contributors paid. Details on how to pitch can be found here. Glass Poetry Press is interested in poetry submissions that enact the artistic and creative precision of glass. "We are not bound by any specific aesthetic; our only mission is to publish collections of high-quality writing. All styles, forms, and schools of poetry are welcome, though easy rhymes and 'light' verse are less likely to inspire us. We like poems that show a careful understanding of language, music, passion, and creativity." To submit, click here. Mastodon Publishing is a new endeavor interested in books, from instructionals teaching a hobby, fiction or poetry, history or memoir, to comics, cookbooks, and art books. We love ideas and imaginative minds, creative minds, and technical minds: anyone with good thoughts and good writing. We want to bring as diverse and uncensored a catalog to life as we can, through print and digital, from short books to large books, technical to creative. See guidelines here. Mindful Littles, a mindfulness and service-learning resource for families of young children (ages 4 to 11), is open to submissions of first-person essays about the successes and challenges around mindful parenting. Tell us a relatable, authentic story about the way mindfulness influences your relationship with your child, your partner and yourself. We accept both original and previously published work. Inquire here for more information. MUTHA Magazine, exploring real-life motherhood from every angle, at every stage, seeks personal essays (~1,500 words), comics / graphic narratives/photo essays, and select interview pitches. MUTHA is a labor-of-love for all involved and does not pay at this time; ongoing open submissions; no reading fees; may take 3-4 weeks to respond to submissions (sometimes faster!). Editor: Meg Lemke c/o muthamagazine@gmail.com. Submission guidelines available here. Narratively seeks original and untold human stories, delivered in the most appropriate format for each piece, from writing to short documentary films, photo essays, audio stories, and comics journalism. They accept both pitches for story ideas and completed submissions. Visit the submissions page here. Peacock Journal a daily online literary & arts magazine highlighting beauty in all its forms, seeks original submissions of Fiction, Art, Photography, Translations, Non-Fiction, and Poetry from emerging and established writers and artists. We want to see your most beautiful work, however you define the term. Submissions are read year round. For more details please visit our Guidelines page, and for our aesthetic preferences, please read our About page. Submit work here. Shift: A Journal of Literary Oddities a student-run journal published by the Ringling College of Art and Design, seeks unpublished creative work for its inaugural issue. We welcome new, emerging, and established writers to submit fiction, creative nonfiction, poetry, book reviews, graphic texts, or other text-based work in English or in translation. We want to see your best work, regardless of style, form, subject matter, or genre. We’re especially interested in literary oddities–language-based creations that push boundaries, challenge expectations and defy easy categorization. Submission details here. Sky Island Journal is an independent, international, free-access literary journal; they are dedicated to discovering the finest original poetry, flash fiction, and creative nonfiction. They publish accomplished, well-established authors—side by side—with fresh, emerging voices. Submit here. The Sunlight Press is an online digital literary journal for new and established voices and is open to submissions of nonfiction, fiction, poetry, book reviews, and photography. For submission specifics, please click here. Typishly is an online digital literary journal for emerging and established voices and is open to submissions of poetry and short stores. Details available here. Voice Of Eve is seeking women's poetry submissions. Their hope is to build a community of women who can be empowered by sharing and reading each other's work. Visit the submissions page here. West Texas Literary Review is a print and online literary journal that seeks fiction, poetry, nonfiction, and photography. They value work that is thoughtful, deliberate, authentic. The guidelines are here.